Curb Appeal – Does it Matter? In short – Absolutely! 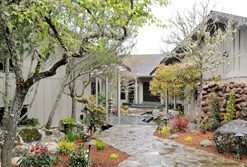 Curb appeal does matter; especially here in the Bay Area. The impression one first has of a property is made from the street. You know what they say about having ONE chance to make that first impression? Well in this case, it’s very true. There are the obvious things like peeling paint, cracked driveways and a chaotic and unkempt yard, however, it goes much deeper than that. 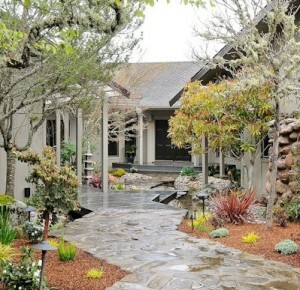 Think of curb appeal is the Red Carpet to the main event inside your home. Outside, you set the stage for what is to come! Curb Appeal should really be Number 6 in our earlier blog post: Before Pricing a Home – 5 Must Do Things. When added to this list, you have a complete Big Picture of what it takes to really get your home ready for market. Create Curb Appeal – Set the stage for a SALE! Every home, neighborhood, community and market is a bit different. There are often trends and subtleties regarding what works. Things buyers care about in one part of town may be different in another. Rule #1 – Ask Your Agent! Find out what really matters to today’s buyer regarding curb appeal in your part of town. A well-maintained yard, power-washed exterior, fresh trim and caulk, working gates and mended fences are just the beginning. A great real estate agent knows the subtle things that make the difference to home buyers in your area. While a comprehensive curb appeal list is longer, below are 10 Important Things you will want to make sure and consider as you create curb appeal for your property. Where to Start with Curb Appeal? Start with your agent. You will want to work with one who can give you a very honest assessment of what you need to maximize the curb appeal of your property. The idea here is not to do more than is required; only to do what is needed to realize your goals. Do you want to sell quickly, sell over your asking price, or have multiple offers on your home? If so, there are curb appeal details that can help achieve those goals. Determine your objective, and then come up with a budget. A great agent will properly advise you, keeping an eye on the return on investment for the curb appeal improvements you make. While other parts of the state and country may require little to no curb appeal, here in the Bay Area it matters a great deal. 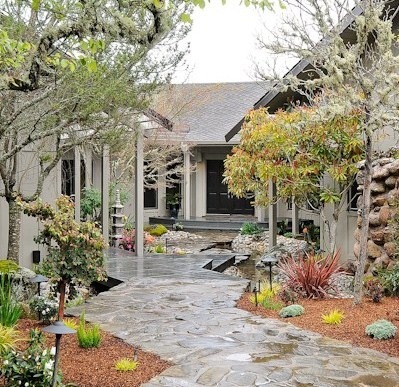 Keep this in mind: What passes for great curb appeal one year, may not the next. Think of our current Bay Area drought situation. Your agent may make drought-specific suggestions regarding the types of plants or the quantity of green grass in your yard. The ever-changing and dynamic changes within neighborhoods, communities and Bay Area towns and cities, may mean that your curb appeal needs to attract a new demographic, rather than the one currently living on your block, complex or building. A great agent is aware of these trends and changing demographics. They can advise you on things that would appeal to current buyers. They may suggest that you make your side or back-yard more or less obviously kid-friendly, or suggest you build a shelter for your hot tub, install one if none exists, or remove it altogether. The focus is on doing those things that will yield multiple offers, a higher selling price, fast movement into contract and the best return on your overall investment.